Five years ago, I put an Edelbrock on my 2005 M6 C6 coupe. Had it tuned, dyno'd, and tuned again, and got about 600 hp, but the ECM couldn't handle it. Lots of stalling, surging, but it ripped when I stepped on it! Had it removed last year. The extra weight had destroyed the front shocks, and front disks... So for about $3,000 I got it off and all the damage replaced, and sold it for $2,000. It was much smoother, and the wife will ride with me now. But it is more or less moot. I ordered a 2019 last month! I am raising the BS flag on this thread ! And I an assuming the OP's 2005 base coupe's engine is stock except for the Edelbrock supercharger and a tune. 600 whp will never happen with that setup. Last edited by JohnStuttle; 02-06-2019 at 02:59 PM. 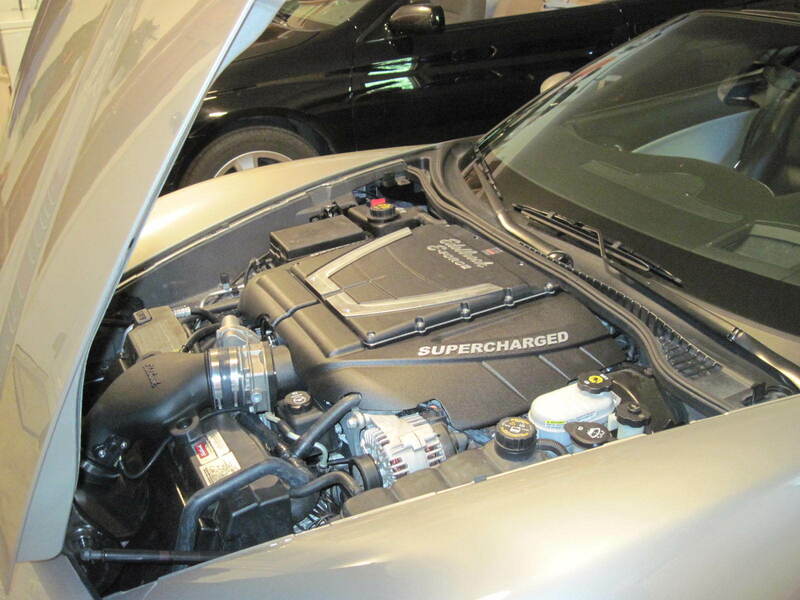 Lingenfelter advertises 600hp for their 05-07 install, but at 11 grand....Ouch! Probably 600 "engine" hp. 600 at the wheels on an LS2 is going to take more octane (meth) and/or a blower cam. Has a mechnical issue, blame tune, too stupid to fix it. Ohh well. Someone got a good deal. In order of response: 1. According to the Chevy mechanic, extra weight made the shocks ride lower, and bounced too much on the stops. Changed angle of brakes. Plus, I have a lead foot/ brake and gas and put 20,000 miles on it. 2. Had a dyno tune. Stood there and watched it hit 600 hp. Got a printout. Always possible I was fooled... However, I wonder if the tune got the hp at a cost of lower rpm performance. 3. The tuner had a lot of experience, but I don't know enough about it to criticize. But, like I say, the issue is moot. The 2019 was put on the train yesterday. 1. The additional weight most likely dropped the front end a bit. This happened with my A&A Centri kit which is about 86 lbs on the front wheels. I adjusted my lowering bolts up to bring it back to my desired ride height. Your shocks might be worn depending on mileage and use. I have Bilstein sport shocks for 30k+ miles (20K with the S/C) and have no issues of bouncing. My stock Z51 shocks lasted about 40k miles. 2. Edlebrock advertises 599 hp, not sure if that is RWHP or engine HP? 3. Something mechanically or in the tune sounds off, these kits should have great street manners when set up properly. The TVS-2300 kit gets you to 600 crank HP with the TVS canned tune. Re-spoling the TVS with a meth kit will get you to over 650HP crank HP with the injectors that came with the unit, but with a 2005 diff in play, your going to grenade the diff pretty quick seeing that much power that will cause wheel hop when the tires break free. As for the rest of the story, still scratching my head. The extra weight of the TVS is solved by swapping out the front trans spring to the next tension up (manual to automatic spring in most causes), and will have the car back at it's normal ride height after ride height adjusters are set correctly. Stock shocks only last around 35K anyways before they need to be replaced from wear, brakes will wear increase with amount of speed and use (Z51 HD pads only last around 30K and are murder on the rotors), and as for tuning, tuner did not have a clue if it was pulled off the stock TVS can tune ( that has the system at 600hp engine crank to start with). Hell, on the TVS new canned tune, the TM hobbling amounts are actually increased, so you are not smoking the tires more with increased linear torque of the blower instead. Lastly, the TVS-2300 system runs around 7K for the LS2, another 3K to have it installed, and if it was removed (3k of labor) and sold for $2K, someone got a hell of a deal. As for the C8, first production year of a mid engine model, will just say pass. GM already figured out problems in the wiring harness that caused a delay in production, and since the last mid engine model that GM released tended to catch on fire (GM Fiero), can't say that the C8 is not going to fall prey to the same out come as well. Last edited by Dano523; 02-16-2019 at 03:44 PM.